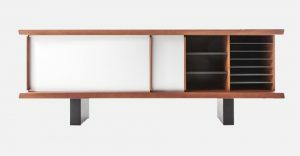 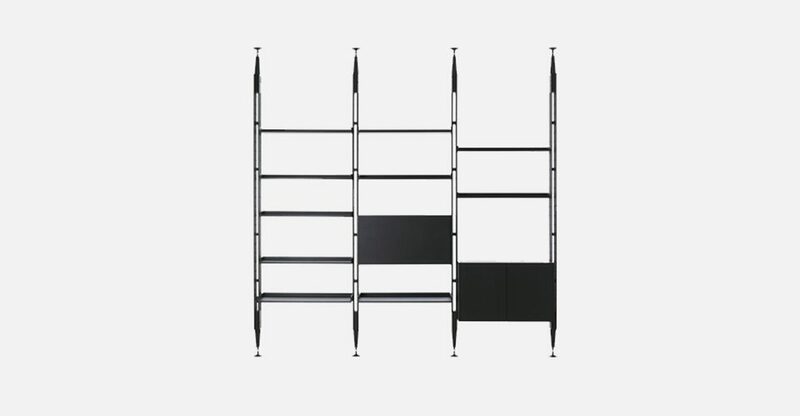 Designed by Franco Albini in 1956/57 and produced by Cassina from 2008, Infinito is a modular bookcase consisting of vertical supports, storage units with swing and bottom hinged doors, and shelves, available in natural ash wood, dyed black ash and Canaletto walnut finish. 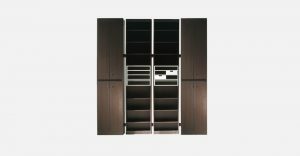 Each element of the product was massproduced, allowing for countless possible arrangements, from the supports to the components. 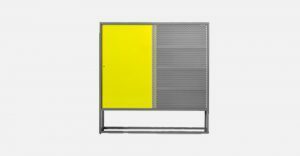 The structure, which does not need to be fixed to the wall, can offer a double surface, namely a partition with two sides containing bookshelves and other storage solutions.